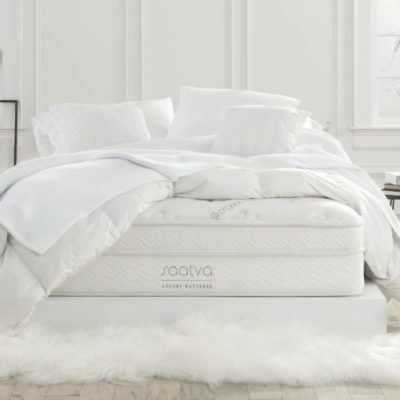 Are you obsessed with making sure your furry friend gets a good night’s sleep? You’re not alone. 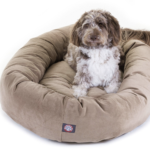 See our reviews of the best dog beds on the market. If you’re like most dog owners, your pup is one of the most important members of the household. You know he (or she) deserves a good night’s sleep. And that means investing in a high-quality dog bed. Dog beds have come a long way since the days of basic, one-size-fits-all mats. Now, you can find dog beds in every shape and style, for every size and breed of dog – from your 15-pound terrier mix to your 80-pound lab. Read on as we walk you through the best dog beds on the market, plus everything you need to know before you buy. Do I really need a dog bed? The American Kennel Club estimates that dogs spend 50% of their day asleep, and 30% awake but lying down. That’s nearly 20 hours a day your pup spends lounging around. (Sounds like a pretty sweet life.) 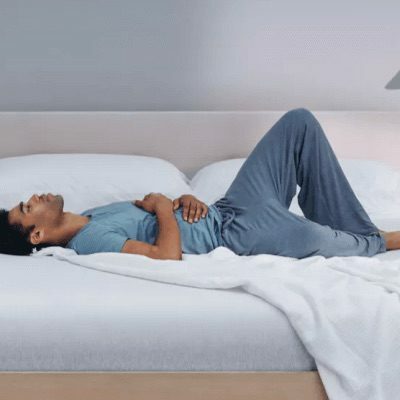 With all that time spent dozing, comfort is key. Comfort: A cushioned dog bed can provide more comfort and support than the floor or furniture and keeps dogs warm in winter months when houses tend to get drafty. Security: Dogs like to have a place of their own (that’s why many end up liking their crates so much). Dog beds give them a spot that feels safe and familiar. 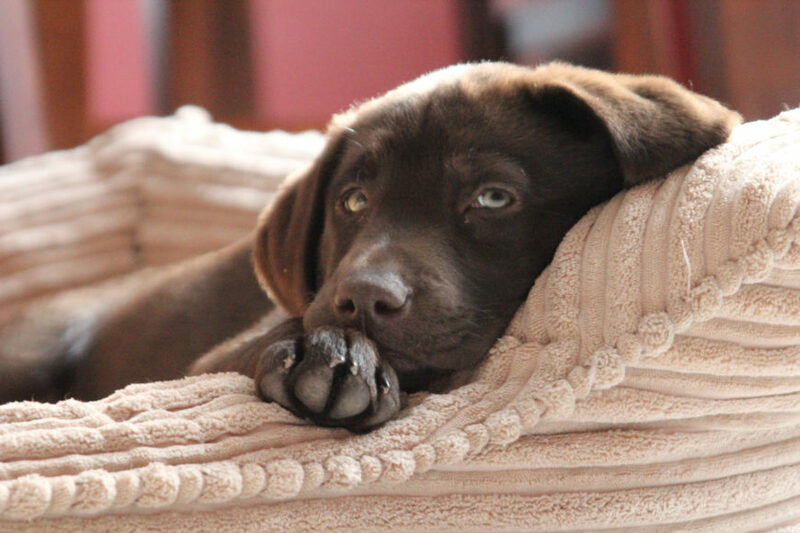 Injury prevention: A dog bed can prevent injuries from jumping on and off high furniture. 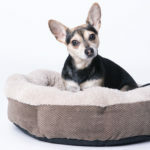 For older dogs, orthopedic dog beds can help support joints and bones. Easier cleaning: Dog beds can help corral dog hair, dander and dirt in one area – and many dog beds have machine washable covers, making them easy to clean. Dogs spend 50% of their day asleep, and 30% awake but lying down. These are typical dog beds that look like a large cushion or pillow. They come in tons of different shapes, sizes and styles, and you can get them at basically every price point or color. They’re a great choice for most pups, especially big dogs who like to sprawl out. The only exception: older dogs who may need additional support. 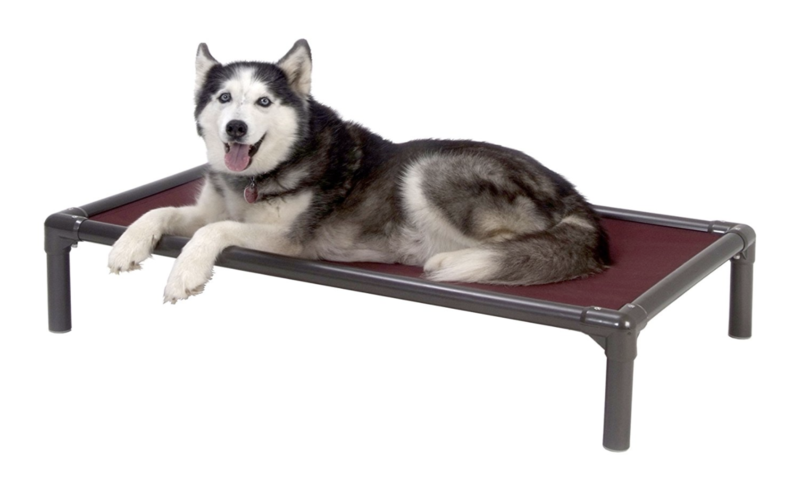 Orthopedic beds provide more support for dogs with arthritis or other orthopedic issues. 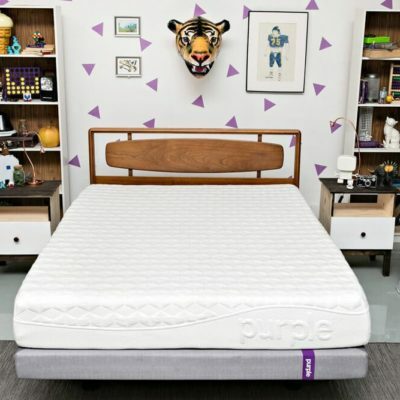 They’re usually made out of a thick memory foam base with a soft cover, which acts as a cushion for bones and joints. They also work great for thin dogs, who don’t have extra padding to protect them from the floor. These are essentially standard cushion dog beds, but with a raised edge around some or all sides. They’re great for dogs who like to snuggle and have something to lean up against. The raised edges act like a pillow for pups to lay their heads on. Like bolster dog beds, donut or bagel dog beds have a raised edge – however, the edges are usually higher and they’re round or oval in shape (hence the name). Picture a bean bag with a deep indentation in the middle. These are super-cuddly and cozy, perfect for your pup to curl up in. Although they come in lots of different varieties (including, yes, replicas of actual sofas), raised dog beds are typically made of thick fabric stretched across a raised metal or plastic frame. These are great for dogs who don’t like overly soft surfaces, and they elevate your pups off the floor, keeping them warmer (and cleaner). These thinner mats, which often have a removable cover for easy washing, are made to fit inside your pup’s crate and help keep them comfortable. They’re also safer to put inside a crate than blankets, which can be easily chewed and ingested. 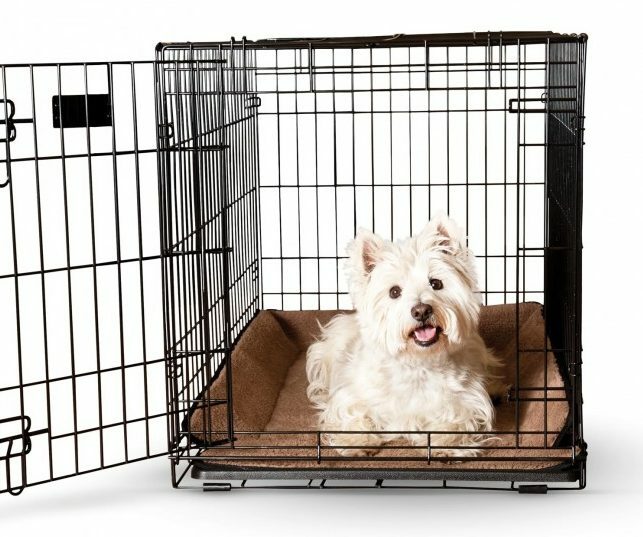 If you regularly crate your dog while you’re out of the house, you’ll definitely want one. Sleeping style: Does your pup like to sprawl out or curl up into small spaces? 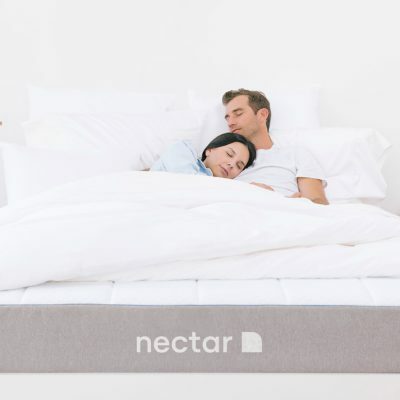 Does he prefer firmer surfaces like the floor, or does he make a beeline for the bed or ottoman at naptime? Paying attention to your dog’s sleeping habits before you purchase a new bed can help you determine what kind will work best. Size: Sounds like a no-brainer, but how big your dog is will determine the size of the dog bed you need. Dog beds for large dogs are designed to keep them comfortable without forcing them into too-small spaces. Aim for a dog bed that’s a few inches longer and wider than your pup. 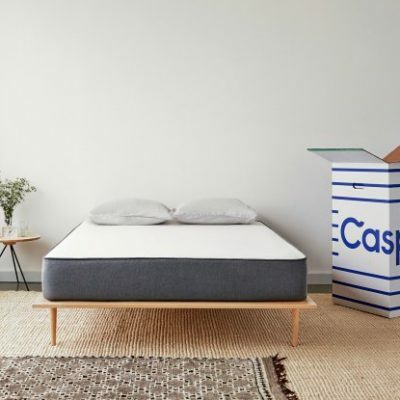 Activity level: If your dog runs around outside all the time and constantly tracks dirt through your house, you’ll want a pet bed with a machine washable cover. If you know your dog is a chewer, you’ll want something pretty indestructible. Age: Don’t forget age, along with any health issues your dog has. 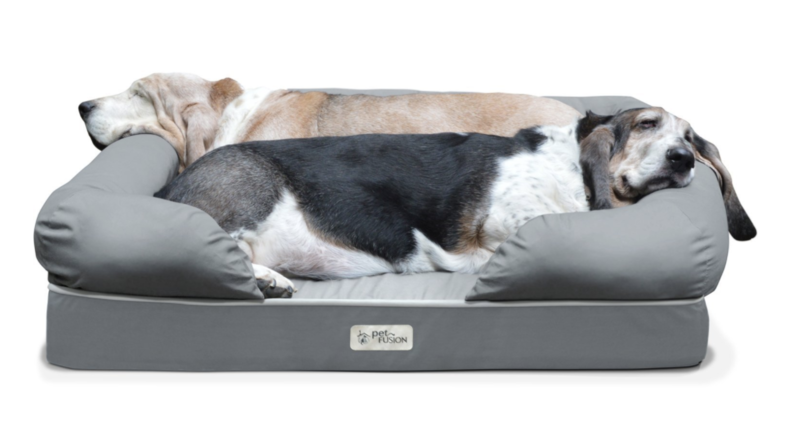 If you have a senior dog or if your pup has arthritis or other bone and joint issues, you’ll want an orthopedic dog bed to provide additional support. Standard dog beds can exacerbate health problems for older or injured dogs. 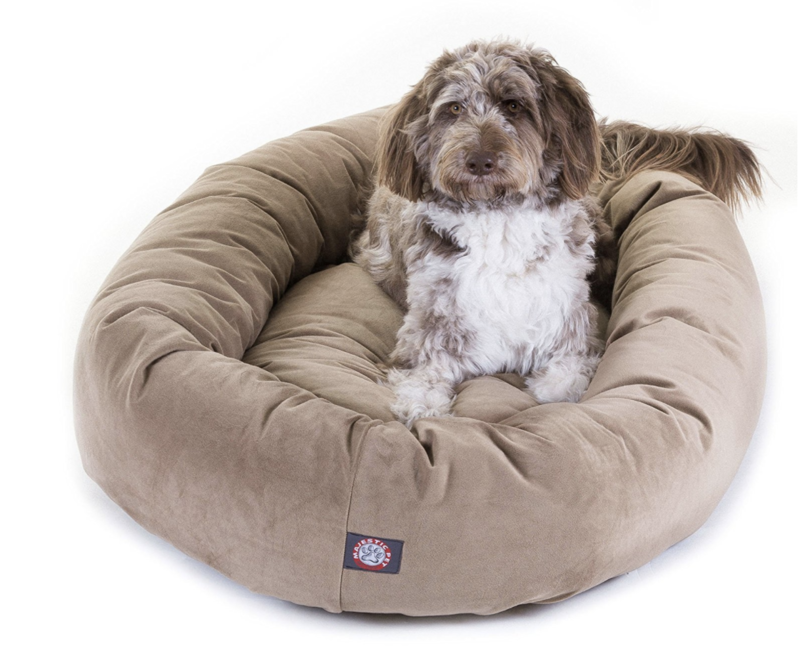 Check out our roundup of the best dog beds below. You’ll find information on price, customer ratings (just the human customers, sorry), warranties, return policies and more. 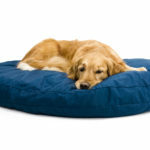 This suede bagel dog bed from Majestic Pet Products is a winner for almost any kind of pup. 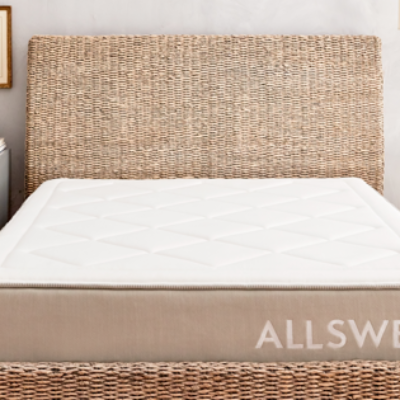 The overstuffed cushion and raised edges are perfect for snuggling, and it comes in four sizes. The suede is machine washable and durable enough to stand up to your dog’s activities. What else? It’s available in a ton of colors and has a waterproof base. It’s also super affordable compared to other top-of-the-line dog beds. The Big Barker is the gold standard in dog beds for large dogs. 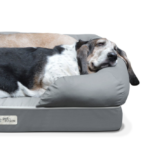 An orthopedic bed designed specifically for dogs above 50 pounds, the Big Barker is made out of high-density memory foam that will keep its shape even under the weight of sizable pups. It comes in three sizes: Large, Extra Large, and Giant. 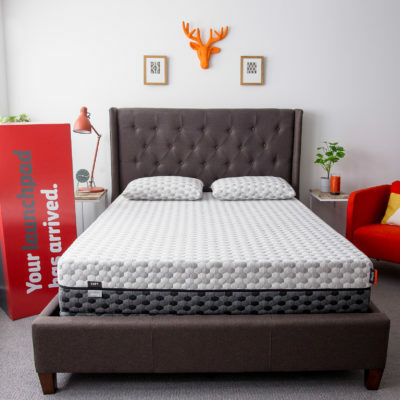 The Big Barker comes with a 10-year guarantee that that foam will retain 90% of its original shape and loft for 10 years or your money back. It also has a machine washable cover. Return policy: Return for a full refund within 90 days when purchased through Big Barker; Subject to Amazon’s 30-day return policy if purchased through Amazon.com. 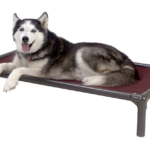 Finding the best orthopedic dog bed is crucial when you have a senior pup or one with arthritis or joint problems. This bolster dog bed from PetFusion does the trick with over 1,500 positive Amazon reviews to prove it. 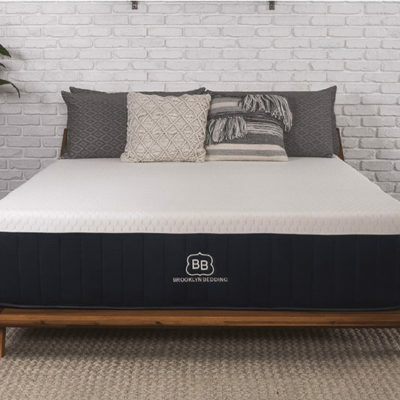 It has 4 inches of memory foam for maximum comfort and joint support, and a non-skid bottom adds stability for aging dogs. Four sizes, ranging from small to extra-large, should accommodate most dogs. The polyester and cotton twill cover is durable, water-resistant and machine washable. If your pup doesn’t love soft surfaces or likes to be up off the floor, this raised dog bed from Kuranda is a great choice. Made with a furniture-grade, chew-proof poly-resin frame, it’s durable enough even for the most mischievous dogs. You can choose your frame (indoor or indoor/outdoor) and pick nylon, mesh or vinyl for the fabric. It also comes in six sizes. Bonus: It’s super easy to clean and comes with a one-year warranty. 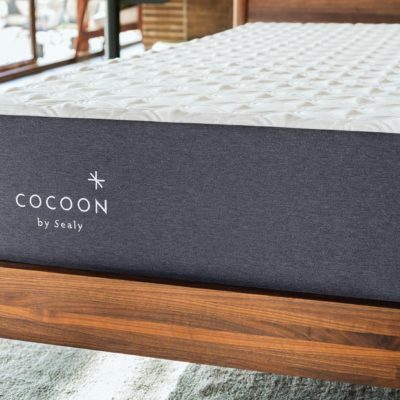 Customize with your dog’s name or add a cozy pad to go on top. Rounding out our list with the best dog bed for crates is K+H Manufacturing’s Memory Foam Crate Pad. 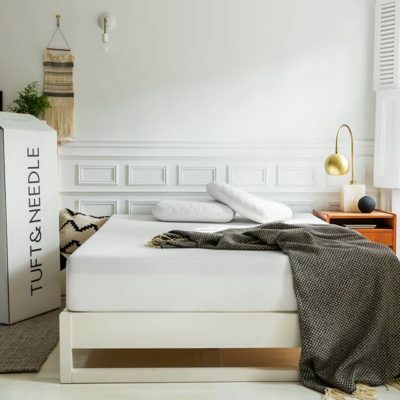 While it’s not as thick or soft as traditional dog beds, when it comes to crates, that’s actually preferable. The thinner memory foam pad will allow your pup to easily maneuver around their crate, while still providing support and comfort. 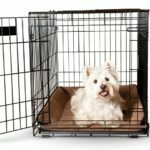 It’s available in six sizes, and comes with slit corners to make sure it will fit in any size crate. 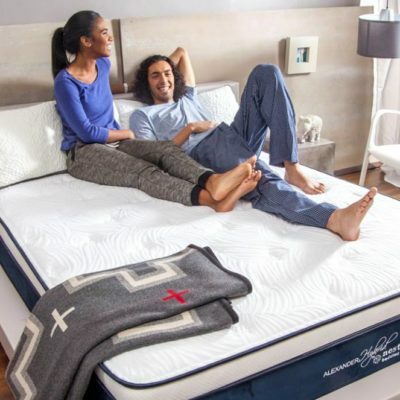 The microfleece surface is machine washable and comes with a non-slip bottom for added stability. 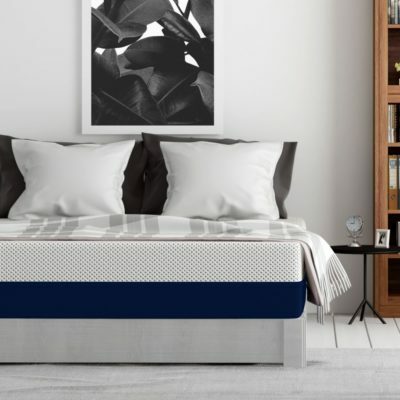 There’s no shortage of dog beds on the market, but with a little research, you can find the perfect choice for your furry family member (and maybe even reclaim your bed for yourself). 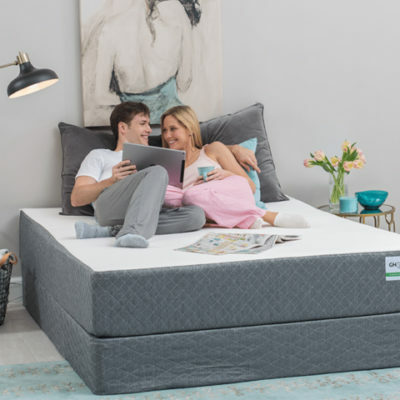 Let us know in the comments below if you still have questions about the best dog beds, or if you have a dog bed that you and your pup both love! 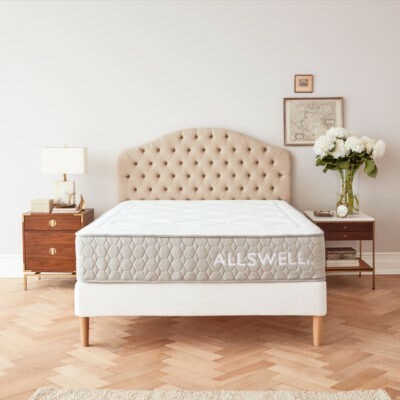 And if you start to get jealous of the fact that your dog might be getting a new bed, it might be time to treat yourself to a new mattress too! 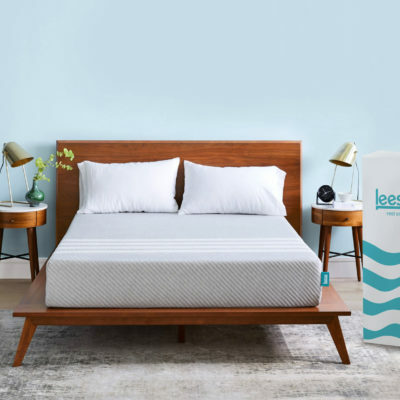 Hop on over to our guides to find the best mattress for your sleeping needs.